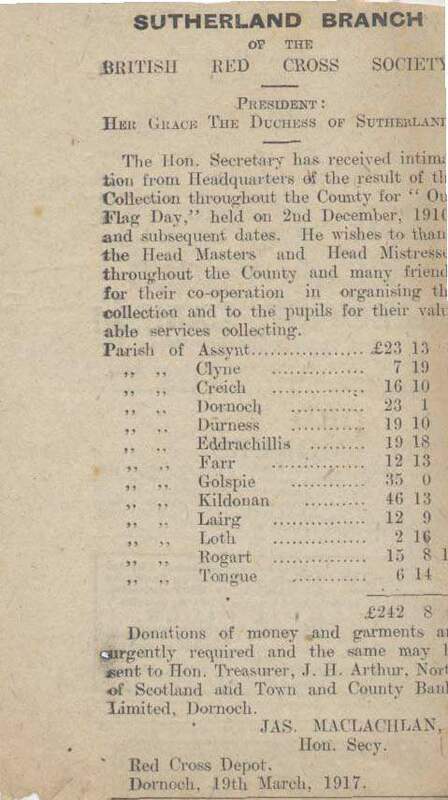 Newspaper cutting of a notice, providing details of the result of flag day collections in the county. The Notice bears the authorisation of Jas. MacLachlan, Hon. Secy. Red Cross Depot, Dornoch, with the date 19th March 1917.